DIRECTORATE OF CRIMINAL investigations officers are currently hunting for an Eldoret man who sensationally went online and claimed to have infected over 200 MARRIED women with HIV. 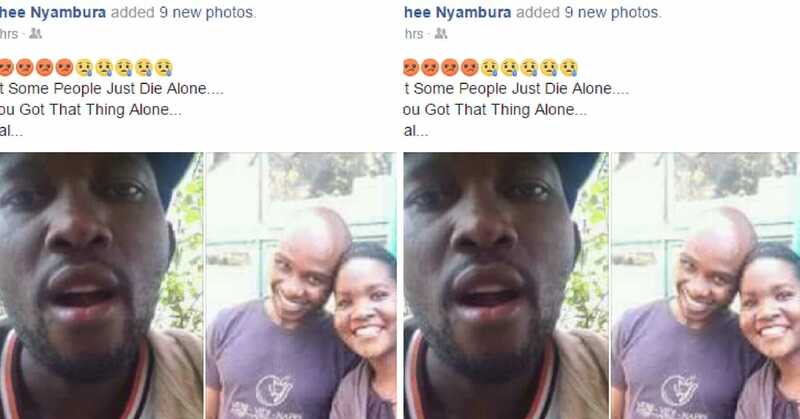 This is the story….This Kenyan guy has been infecting married women in Kenya with HIV. So far, over 200 women have fallen to his charming philandering ways. Ways that come with HIV. In a conversation that he had on social media with his sister, the man who is in his late 20’s says that he is enacting revenge. His name is Frank. He says that he will be posting on social media, a tall list of over 200 women who he has infected with the virus. The list, he further says, teems with married women as his primary reason is to infect as many women as possible. His actions, he says, were triggered by a married woman who infected him with the virus a few years ago, sentencing him to an imminent, slow, horrible death. He is currently in Eldoret and people who know him attest to his ways, that he has so far, broken myriads of families. It’s not uncommon to hear such news in Kenya. Scores of people have in times passed, threatened to release lists that reportedly contain victims that they have infected with HIV. Previous THE BODA BODA HEARSES OF UGANDA! Next FAMILY WARS! : SHOCK as Modern Coast Bus Company to be split into two!